I love anything apple spiced! These super moist muffins are great for breakfast or with tea/coffee any day of the week! 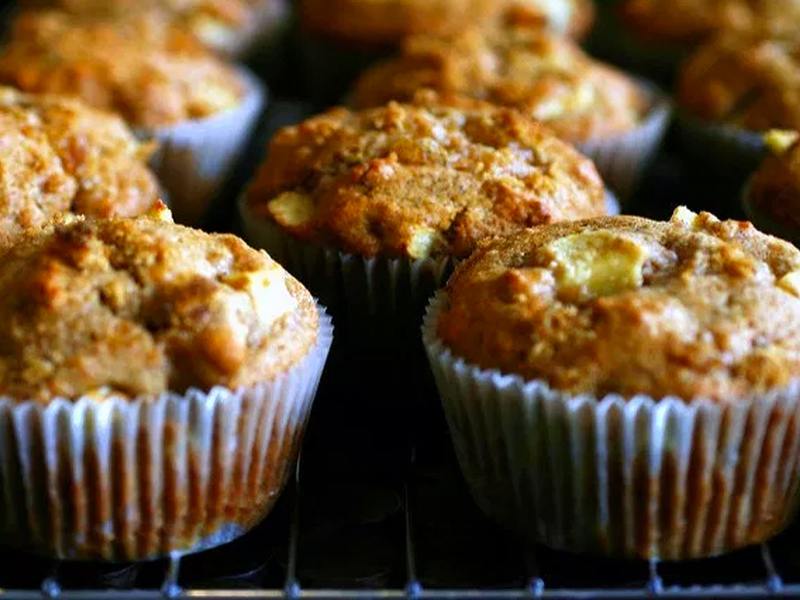 The ingredients help to keep these whole wheat apple spiced muffins hearty but moist. Get your muffin tins ready! By ready I mean grease them or line them. You will need 2 bowls. In the first mix together flour, baking soda, cinnamon, nutmeg and salt. In the second bowl, combine applesauce, greek yogurt, brown sugar, oil and egg. Stir until smooth. Mix well and pour into prepared muffin tins.